Anyways I am super drunk and it’s late (shut up it’s late over in Sweden atm!) and I wanted to tell you how knowing how to turn a wrench got me a job and not some super-fancy education. The year is 2012, and I’m working some odd jobs wherever I can get a hold of them. Doesn’t matter how bad they are, always say yes to them, experience is key. A neighbour to my parents works a this really cool tech company that builds laser-scanners for wood working facilitets. At this moment they’re having some production shortages and need to hire an extra set of hands in order to keep up with demand. My parents neighbour knew that I knew that I had had a fairly good grasp of the technical stuff since he had seen my Firebird which I stored at my parents house at the time. Long story short; I get to come in, work for 2 weeks, do a good job get to work for more 2 weeks. This continues for another 5 months or so when I finally get full time employed. From there I then move up in the company from production to service and then to project engineer. I now make a decent living travelling all over the world installing and working on these scanners. 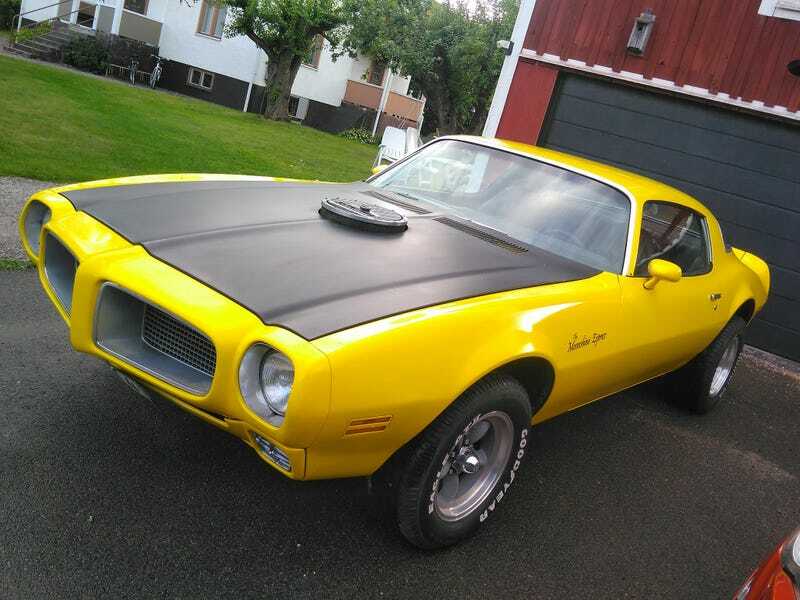 After just finishing up having spent the last year or so renovating/building said garage (it was originally a horse stable/outhouse built over 100 years ago) I am now starting something I have wanted to to for a really long time; rebuilding my firebird, the right way. I now have my own place and all the time in the world to do this the way I’ve always wanted to build it, which honestly is one of the greatest feelings ever. So to finish of... erh, where was I... Investing in an old crappy car that needs a ton of work doesn’t need to be a bad thing as it can also be sent as a living proof of your technical skills.